Conservation biology is fast emerging as a major new discipline, which incorporates biological principles in the design of effective strategies for the sustainable management of populations, species and entire ecosystems. 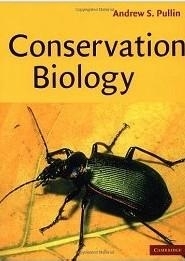 This beautifully illustrated textbook introduces students to conservation biology, the science of preserving biodiversity. It begins by taking the reader on a tour of the many and varied ecosystems of our planet, providing a setting in which to explore the factors that have led to the alarming loss of biodiversity that we now see. In particular the fundamental problems of habitat loss and fragmentation, habitat disturbance and the non-sustainable exploitation of species in both aquatic and terrestrial ecosystems are explored. The methods that have been developed to address these problems, from the most traditional forms of conservation, to new approaches at genetic to landscape scales are then discussed, showing how the science can be put into practice.